After 10pm entry is via the Blavatnik Building entrance only. On 12-13 April 2019 the Academy brings to life a new version of Gavin Bryars’ iconic work Jesus’ Blood Never Failed Me Yet – a piece centred upon an unknown homeless man’s vocal refrain. The performance will involve professional musicians and people with experience of homelessness performing together throughout the night at Tate Modern, and it will be the most accessible concert we have ever done. Over the last twenty years, the Academy of St Martin in the Fields has worked creatively with hundreds of people who are or who have been homeless. This specific project has been a collaboration with Streetwise Opera, who form the choir for this performance; and Gavin Bryars’ ensemble and Southbank Sinfonia, who will play alongside members of the Academy of St Martin in the Fields, West London Mission and The Connection at St Martin’s. 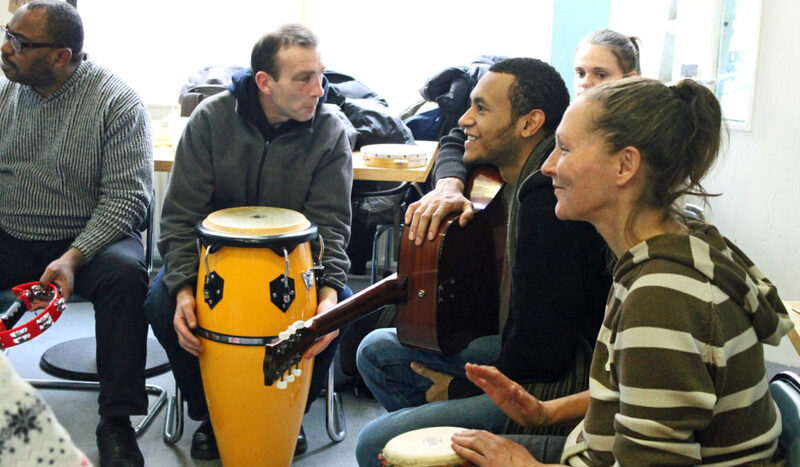 We have worked with more than sixty people with experience of homelessness and engaged them with over fifty hours of singing and music making at The Connection at St Martin’s and the West London Mission. Having the opportunity to perform is very important, because it allows us to rebuild our self-esteem. Problems and trials in life knock you down all the time and being able to perform has allowed me to recover and to have the confidence to speak my mind.” Germaine Nyack, performer with Streetwise Opera. Generously supported by Arts Council England, The Big Give, Jerusalem Trust, Patrick & Helena Frost Foundation, Sir Neville Marriner Fund and Albert Hunt Trust. If you would like to make a donation to support this work you can do so via The Big Give.